LOS ANGELES — The colorful crew of "Suicide Squad" got duller in their second weekend in theaters, with audiences hungry for the raunchy fare of animated "Sausage Party." Warner Bros.' intensely scrutinized comic book film broke records last weekend and managed to stay atop the box office with $43.8 million, according to studio estimates Sunday. But its earnings dropped a steep 67 percent from last weekend. Sony's raunchy R-rated comedy "Sausage Party," co-written by Seth Rogen and Evan Goldberg, debuted in second place with $33.6 million, outpacing its reported production budget of $19 million. "What is phenomenal about this result is it shows if you take risks and are high-quality and original in this marketplace, it can pay off big time," said Josh Greenstein, Sony's president of worldwide marketing and distribution. "It's a big win for Sony." The film takes "Toy Story"-like approach to the world of supermarket food items but with bawdy humor. It features the voices of Rogen, Kristen Wiig and Jonah Hill. ComScore's Dergarabedian likens the buzz and solid performance to that of "Ted," which also became a strong earner by turning a seemingly innocent concept very adult. "It's exactly the kind of offbeat, original comedy that audiences respond to," Dergarabedian said. "Summer is all about cookie-cutter sequels, prequels and reboots — the most non-original fare you can think of. And then when something comes along like this, it just solidifies the notion that audiences want something edgy, different — and that creates a conversation." The film that was actually for children this weekend, "Pete's Dragon," debuted in third place with a measly $21.5 million. Disney's live-action/CG remake of its 1977 film stars Robert Redford and Bryce Dallas Howard and cost a reported $65 million to produce. It is a less-than-stellar launch for a film well-received by critics, though not as poor as Disney's "The BFG," another live-action/CG hybrid from earlier this summer that earned only $53.3 million in the U.S. against a $140 million budget. Disney Executive Vice President of Distribution Dave Hollis expects "Pete's Dragon" to end its run domestically in the $80 million range with a little more from overseas. "We walk away feeling good about where we are," he said. Paramount's Meryl Streep-starrer "Florence Foster Jenkins" also got off to an inauspicious start, taking in $6.6 million from 1,528 locations. Holdover "Jason Bourne" took fourth place with $13.6 million, bringing its domestic total to $126.8 million after three weeks in theaters, while the modestly budgeted "Bad Moms" rounded out the top five with $11.5 million. The R-rated STX comedy has earned a robust $71.5 million domestically. In limited release, Lionsgate and CBS Films' well-reviewed Western "Hell or High Water" earned a terrific $592,000 from just 32 theaters. The film, starring Jeff Bridges and Chris Pine, will be expanding in the coming weeks. 1. 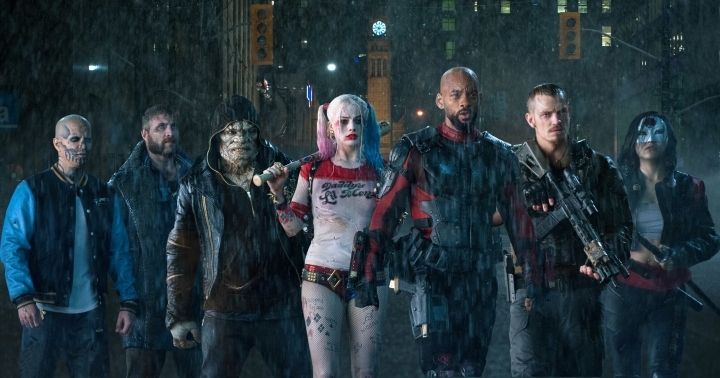 "Suicide Squad," $43.8 million ($58.7 million international). 2. 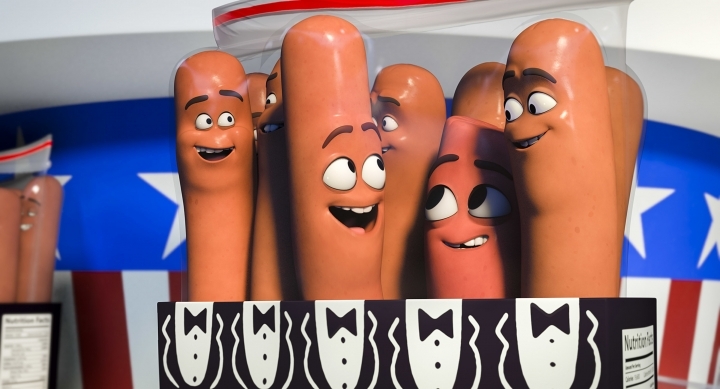 "Sausage Party," $33.6 million ($2.6 million international). 3. "Pete's Dragon," $21.5 million ($5.1 million international). 4. "Jason Bourne," $13.6 million ($18.6 million international). 5. "Bad Moms," $11.5 million ($6.2 million international). 6. "The Secret Life of Pets," $8.8 million ($40 million international). 7. "Star Trek Beyond," $6.8 million ($2.5 million international). 8. "Florence Foster Jenkins," $6.6 million. 9. "Nine Lives," $3.5 million ($325,000 international). 10. "Lights Out," $3.2 million ($3.2 million international). 1. "Suicide Squad," $58.7 million. 2. "The Secret Life of Pets," $40 million. 3. "Line Walker," $26 million. 4. "Jason Bourne," $18.6 million. 5. "Love O2O," $17.5 million. 7. "Call of Heroes," $12.7 million. 8. "Time Raiders," $12.3 million. 9. "Finding Dory," $8.1 million. 10. "The Last Princess," $7.8 million.